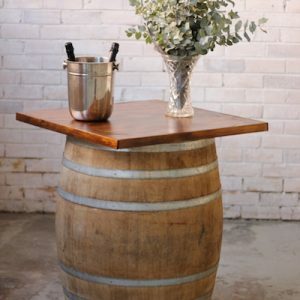 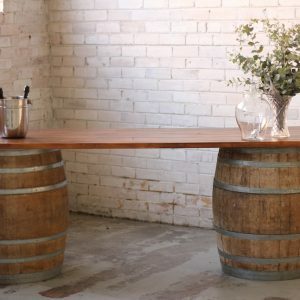 That rustic look you are going for is right here with this timber wine barrel bar top. 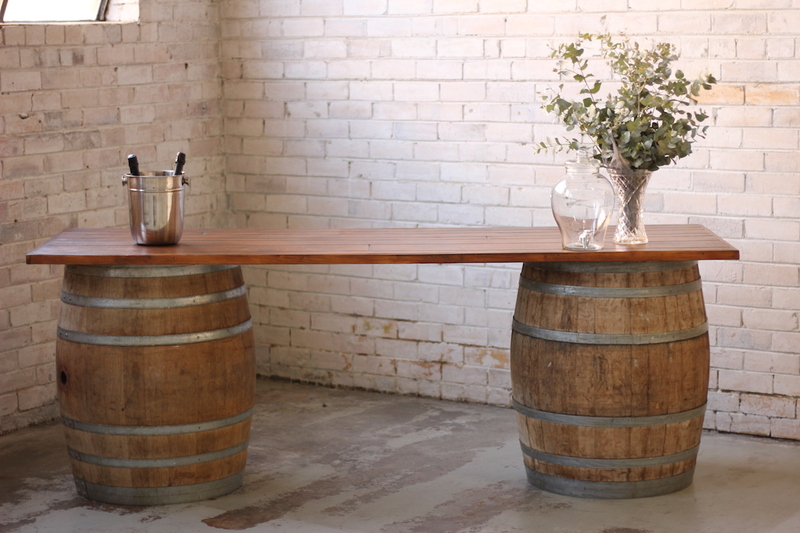 Perfect to serve your drinks from or set it up as a sumptuous grazing station. 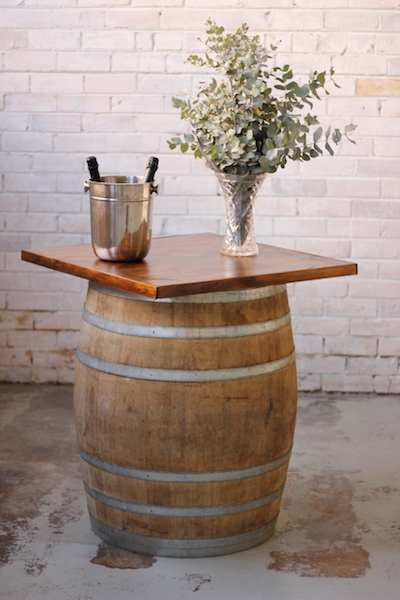 Made from recycle timber this bar top is the perfect addition to any relaxed event you’re staging. 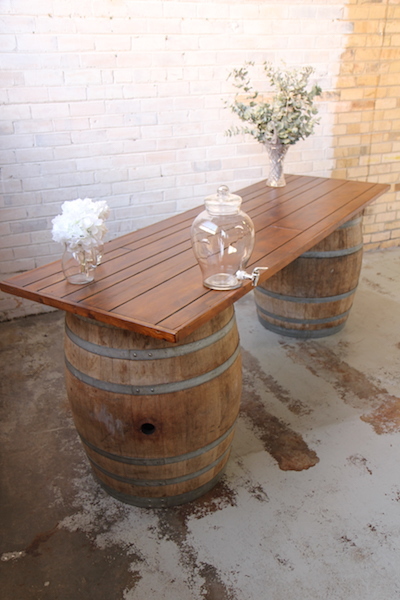 Measuring 2.4m x 0.75m for the double bar or 70cm x 70cm for the single barrel option. 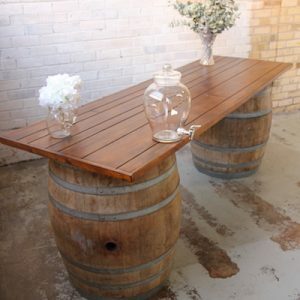 Wine Barrels included or available on their own here .